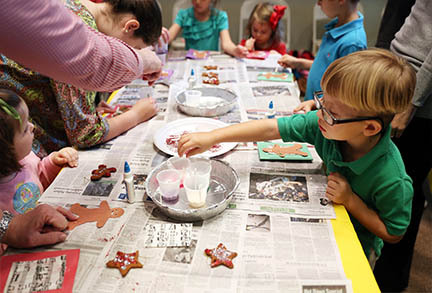 Monday at the Museum is a monthly program aimed at preschool children between the ages of 2-6 years old featuring a different theme each month. It is first come first serve for up to 20 children per session. Children must be accompanied by an adult. March is National Red Cross Month! 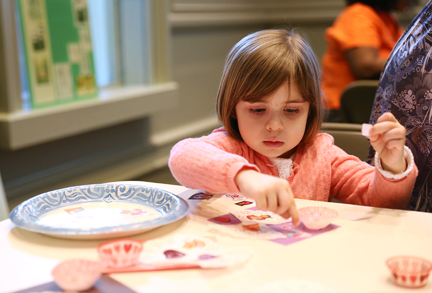 Join us at the Museum to Learn about Augusta's Medical History, and then make a toy stethoscope! It's golf season here in Augusta! Learn about our most famous sporting event! As always, Monday at the Museum isn't the same without a craft, this time its golf themed of course! How did Augusta get it's nickname 'The Garden City?" Lets find out together and then plant a flower so that we can start our own gardens! What games were popular during Victorian Times? What about in the 60's? Come find out and then try them out for yourself! This month we're learning the Georgia state emblems! From peanuts to the white tailed deer, there are so many things that represent Georgia! Then we'll make Georgia postcards so everyone can learn about the Peach State. It's almost time to go back to school! Let's celebrate with a nostalgic Schoolhouse Rock sing-along party! Space is limited for Monday at the Museum Programs, so make sure you contact the Education Manager at 706-722-8454 or education@augustamuseum.org to reserve a spot for your child!